Allan has been a core trainer at the Trust since 2011 and currently teaches on the Essentials, Foundation and Counselling Diploma programmes. Key subjects taught include: guided imagery, creativity, meditation and the will. 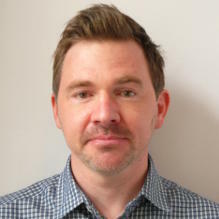 In his teaching and psychotherapy practice he is interested in developing the ‘craft’ of a soul-centred approach, one that takes inspiration from the emphasis on imagination within Psychosynthesis and Jungian approaches, as well as the ecological and systemic perspectives of ecopsychology and complexity science.